•NAS was conducted for Classes 3,5,8 while SLAS will be conducted for Classes 4,6,9. •SLAS will also provide advanced analysis like Misconception analysis, Item response theory and scale anchoring to benchmark knowledge and ability performance of children. •Approx. 1250 students will be tested in each class and school management in all districts. Hence, each district will test at least 1250 students of Class 4,6,9 each from Govt. 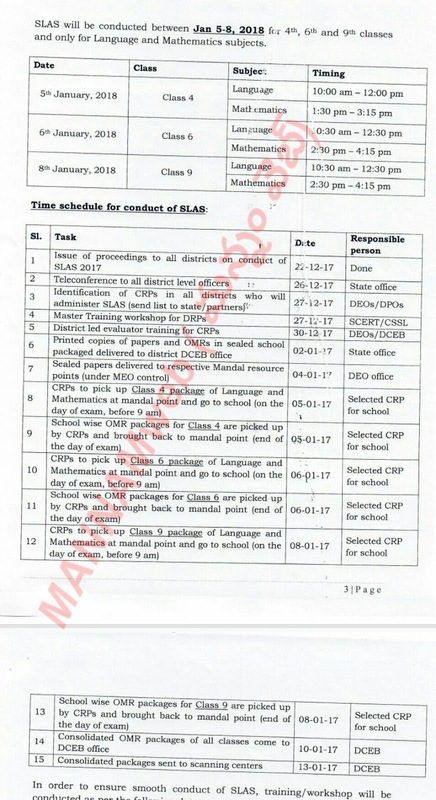 schools (Telugu medium); 1250 students of Class 4,6,9 each from Private schools. The list of schools identified for sample testing will be sent separately by Dec 26.